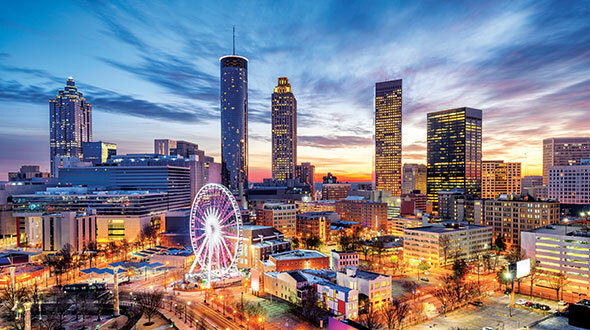 Since its founding in 2006, the Global Technology Conference, held annually during the World LPG Forum, has been renowned as the only international conference solely dedicated to the LPG industry’s up-and-coming technology. 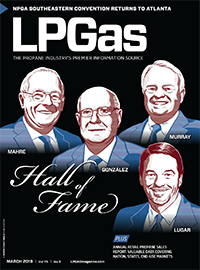 Some of the LPG industry’s most influential organizations have participated in the conference’s awards presentation, based on papers developed by each company. Last fall, 11 organizations presented papers, which were reviewed by the Global Technology Conference’s steering committee, along with an online audience. 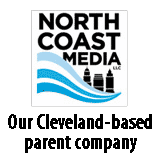 Two organizations, Motive Ventures LLC and Enviro Power LLC, received runner-up awards for their papers, which discussed an LPG engine and an LPG cogeneration boiler, respectively. 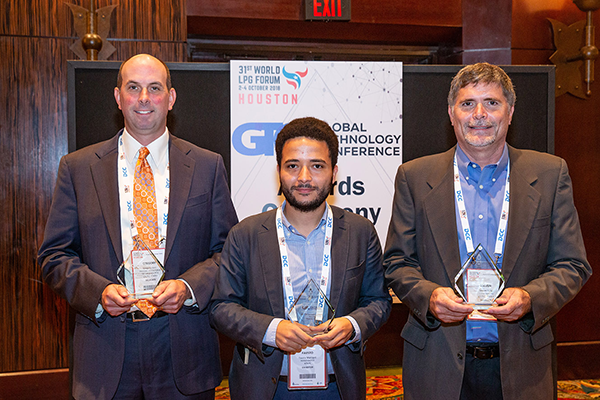 PayGo Energy, a distribution system that allows customers to attain clean, efficient fuel for low prices, won first place, as it received the World LPG Association (WLPGA) 2018 Innovation Award during the World LPG Forum in Houston. The organization, based in Nairobi, Kenya, described its groundbreaking usage of the Internet of Things (IoT) to digitally transform LPG distribution. Fausto Marcigot, center, of PayGo Energy (first place); Steve King, right, of Motive Ventures (runner-up); and Greg Kerr of PERC. Fausto Marcigot, the chief technology officer of PayGo Energy, represented his organization at the conference. Steve King, president of Motive Ventures, and Dan Nadav, CEO of Enviro Power, also represented their organizations. 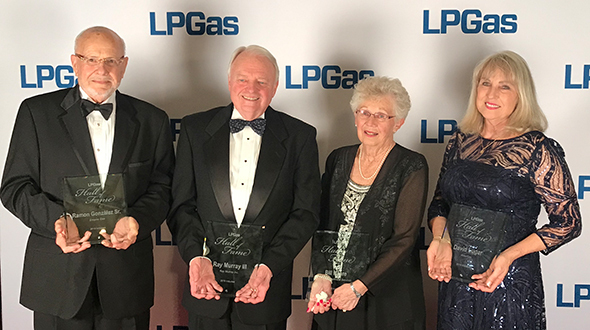 King and Nadav, whose companies are U.S. based, discussed the impact of the runner-up recognition with LP Gas, as well as the ways in which their respective technology will influence the propane industry, assist their customers and gain recognition throughout the United States. Motive Ventures partnered with Zenith Power Products (the engine’s manufacturer, marketer and packager) to develop a unique LPG industrial engine. 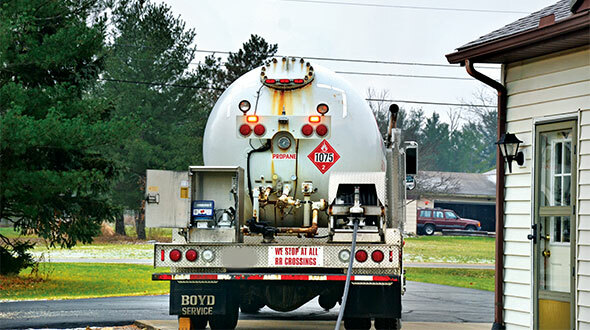 According to both companies, the engine is the only EPA-certified, LPG-fueled, heavy-duty stationary unit that incorporates exhaust gas recirculation (EGR) to increase power density and improve reliability. In production since the fall of 2017, the engine is now available in several configurations and power levels. It consumes 28 gallons per hour at rated power, which is 320 brake horsepower at 1,800 rpm, and its brake thermal efficiency (at this operating condition) is 35.2 percent. 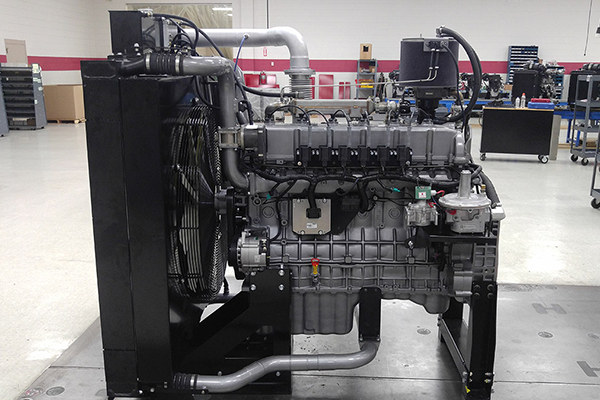 Motive Ventures partnered with Zenith Power Products to develop a high-output, heavy-duty LPG industrial engine. 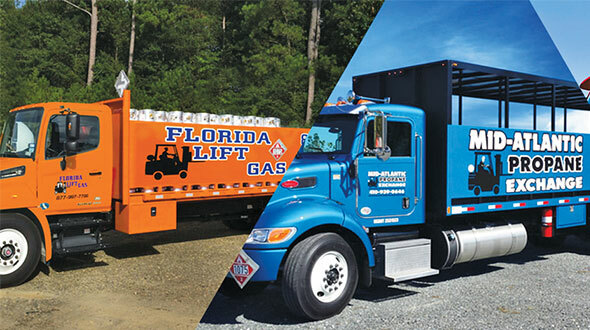 Due to all of these features, the engine is highly useful in a variety of applications, as long as they utilize LPG fuel and require high horsepower. Three markets, in particular, are especially using the engine: agriculture, electrical power generation and oil production. In fact, the engine’s high horsepower is one of its most prominent characteristics, as it delivers more horsepower than most industrial engines, according to Cinch Munson, senior vice president of business development for the Propane Education and Research Council (PERC). As a result of its high horsepower and versatility, the engine is being used throughout the United States. Not only is Enviro Power’s LPG cogeneration boiler, known as the SmartWatt Boiler, competitively priced, but it also generates inexpensive electricity and offers customers backup power. Consequently, the next-generation, propane-based heating system will have a significant impact on the distributed energy market. The need for unlimited backup power is apparent. According to Nadav, 41 percent of all energy consumed at homes is related to heating. Thus, the role in which home-based heating systems can have on energy consumption management is significant. Dan Nadav, left, CEO of Enviro Power, and Mike Cocuzza, the company’s founder and chief technology officer, at their beta site in Connecticut. 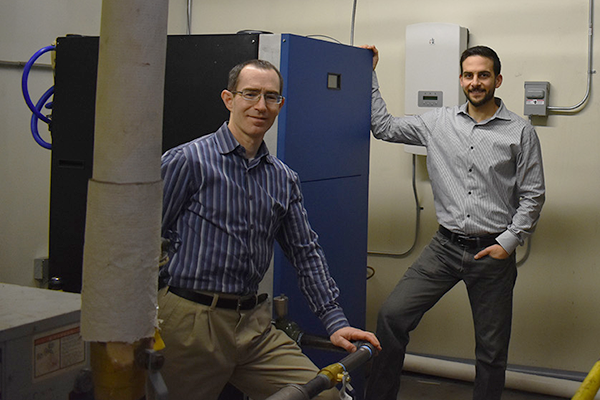 Nadav believes the SmartWatt Boiler, designed and developed by Enviro Power founder Mike Cocuzza, is a win-win for end users and propane marketers alike. Because kilowatt hours of propane are less expensive than kilowatt hours of electricity, consumers will be able to reduce their electricity payments and utility bills considerably. Not to mention, the SmartWatt Boiler operates at 95 percent efficiency, so consumers will decrease the carbon footprint of their homes. Designed to generate six kilowatt hours of electricity, provide 175,000 kilowatt hours of heat output for every hour of operation and consume nearly 2.2 gallons of propane per hour, the SmartWatt Boiler is currently available for piloting. It will likely be released to the public in 2020 after further pilots are conducted.